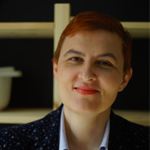 Featured / Recipes / 15.02.2015. 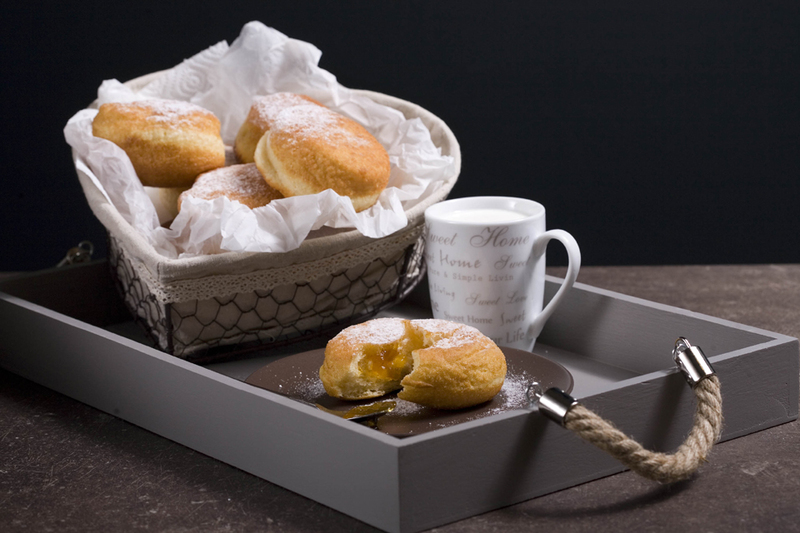 It is said that doughnuts arrived to Zagreb from Bavaria, through Vienna, in the 19th ct. and got the German name “krapfen”, which stuck till today. 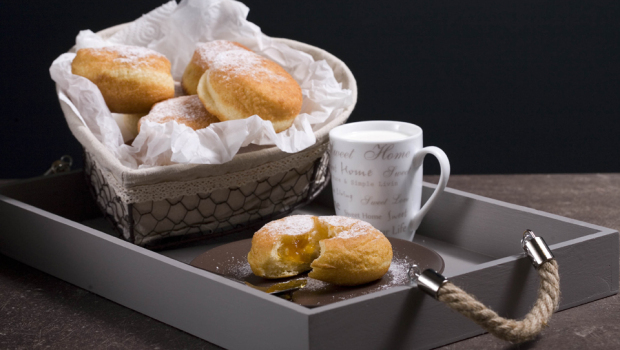 Golden yellow doughnuts represent the sweet joy of the carnival period. Traditionally they are baked on Shrove Tuesday, a day before Ash Wednesday (the beginning of Lent to last before Easter), and they are a proof of the art of preparing, because you need to pay attention to the size, colour and the rim (the light ring in the middle). Mix the crumbled yeast, sugar and milk and let it stand for about 10 minutes in a warm place. Sieve the flour and then slowly add eggs, yolk and yeast. Mix and gradually add milk. In the end add rum and grated lemon rind. The batter should be well worked with a wooden spoon or by hand (for 20-30 minutes), until the bubbles start appearing and the dough starts separating from the bowl. Leave in warm place to rise until it doubles in volume (for about an hour). Move the dough onto a floured tablecloth, knead slightly and let it stand for another 15 minutes. Then use the roller and thin it to about 1 cm, and then use a glass or a round cutter to get the circles (about 7 cm in diameter). 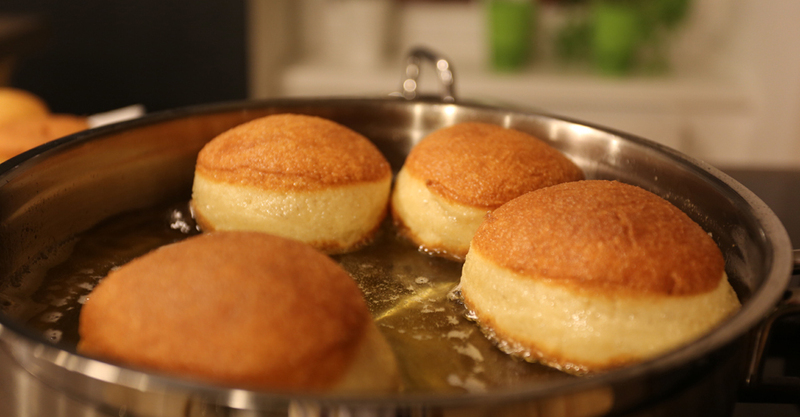 Let the doughnuts rise in a warm place for about 30 minutes. After they have risen, fry them in a large quantity of well heated oil. Fry covered until they get a nice colour and then remove the lid, turn and continue to fry uncovered until the other side turns reddish as well. Remove with a slotted spoons and put on a piece of absorbent paper. Sprinkle with powder sugar and serve next to a warm beverage. When preparing doughnuts, the room has to be well heated and the ingredients of room temperature. This amount of dough will give you about 16 doughnuts.